Jolly LLB 2 Collection Box Office 9th Day / 2nd Saturday: Subhash Kapoor’s courtroom drama Jolly LLB 2 movie has completed its 1st week run at the worldwide box office. Getting a good start, it collected Rs. 50.46 crores in the opening weekend (first three days). But, its pace slowed down in the first weekdays. After one week (till 1st Thursday), the Jolly LLB 2 box office collection stands at a total of Rs. 77.59 cr at the domestic level. Below, we have a day wise break-up of the JLLB2 collections in India. Let’s have a quick look at it. It has already crossed the 100-crore mark at the worldwide scale. The latest movie of Akshay Kumar has grossed Rs. 133 crore at the international level. Its overseas income stands at a total of Rs. 25.51 cr. After Sunday, the movie has faced a drop in its earnings. On Monday, it collected Rs. 7.26 crores and took over Raees and Kaabil, the latest ventures of Shahrukh Khan and Hrithik Roshan respectively. On February 14 (Valentine’s Day), the film witnessed a little growth, but again faced drop on the very next day. 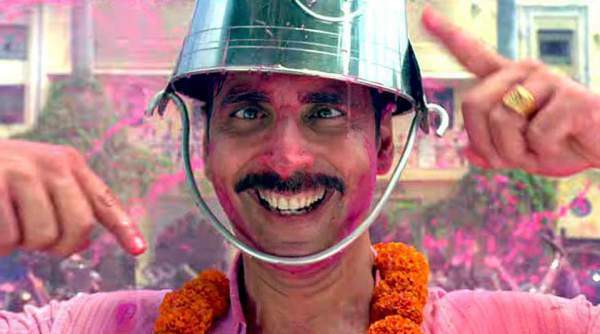 In 2017, Akshay Kumar is going to release half a dozen of films. He started his journey for this year with JLLB2, the sequel to 2013 release which starred Arshad Warsi. On this Friday, three more Hindi movies have been released. Amir Roy’s romantic comedy Running Shaadi, Sankalp Reddy’s period war drama The Ghazi Attack, and Aparnaa Singh’s eco-thriller Irada will create hurdles in JLLB2’s run at the box office. They will affect the Jolly LLB 2 collection on 2nd Friday at small and big levels. It is sure that Akshay starrer will enter the 100 cr club very soon in India too. The film has retained around 1800 screens in the second week which would be healthy for its second weekend collections. It started at 15% occupancy in the morning shows and increased to 20% with the growth in multiplexes. The hold is good, but the jump in the evening will reveal its way. With the small releases today, the business will depend on word of mouth. The Ghazi Attack is expected to do a good business in Mumbai and South India circuits while JLLB2 is running superbly in North India. The early reports are saying that the collection of Jolly LLB 2 will be higher than the combined collections of the other three small releases. Stay tuned for latest updates and news. Next articleHunter X Hunter Chapter 361 Release Date, Spoilers & News: Manga Launch This Month As Togashi Gets A Deadline?